Let our experience and expertise work for you! 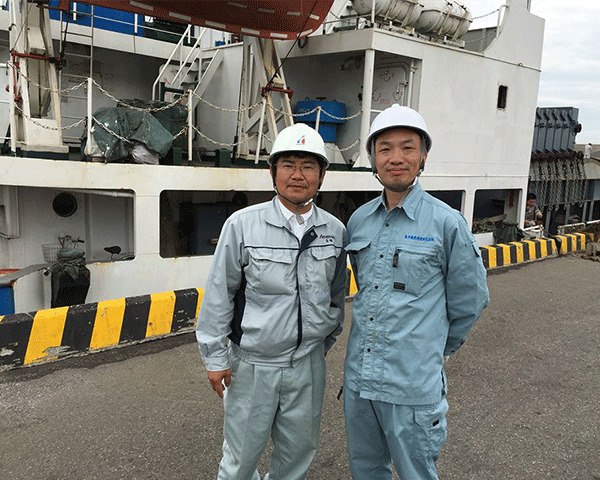 Our staff act as general agents between overseas shipowners and Japanese port agents, serving as an important intermediary between the two. We have many staff proficient in languages such as Chinese, English, and Korean who engage in their daily work in close contact with our customers, the overseas shipowners and captains. By leveraging their solid language skills and quietly accumulated experience, and occasionally offering advice as they provide support, our staff has gained the deep trust of many overseas shipowners. We are always on high alert, valuing every second, and have put in place a system for responding to ship owner requests at any time. Aside from urgent requests such as arranging fuel, water supply, sea charts, and provisions for ships, you never know what will happen with a ship in non-stop motion 24 hours a day. 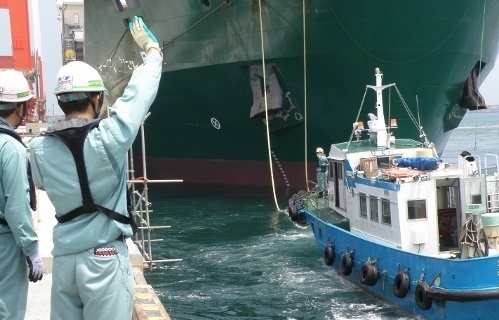 We respond instantly to unexpected ship troubles, approaching storms, and even after berthing if there is trouble during loading/discharging cargo. We work sincerely and in close contact with all persons involved to solve problems. When we receive an agent nomination from overseas ship owners in countries & area such as China, South Korea, Russia, Vietnam, Malaysia, and Taiwan, we collect the necessary ship’s documents for entering port, and also prepare applications for port authorities. Each local agent will handle the clearance for port entrance and leaving. Every morning we confirm the ship’s movements with the shipowner and captain, report it to the local agent. On the other hand, we check with local agent about the berth condition, and then give feedback to the ship owner. We notify the ship owners and captain about the berthing schedule and arrival precaution one day before the ship arrives in the port. 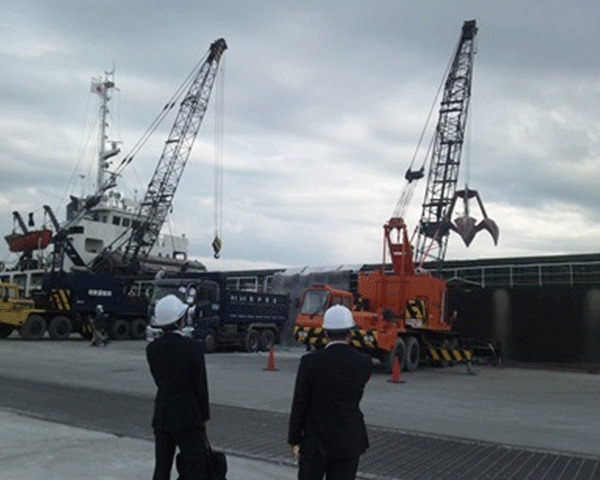 After ship berthing, we will check loading/discharging cargo condition and provide support to the crew if they request. There are many irregularities even during daily route work, and therefore opportunities to leverage our expertise. Prompt measures and careful responses are the result of experience, and linked to our reliable and reassuring performance. Furthermore, we also response to arrange BERTH TERM required by ship owners. We make the best proposals, leveraging our trust-based network of port agents and stevedores. Since being founded in 1997 as the general agent of foreign vessel, we have built relationships of trust with ship owners and local agents. Based on our performance handling foreign vessels, our agent service is at the top level in shipping agent business of Japan. We aim to improve our service even further based on high reliability, rapid response, and reasonable price.